With Survivor Series approaching fast, wrestling fans around the world are hungry to see the much-hyped event that features matchups between the WWE’s biggest superstars. With the event being headlined by RAW vs Smackdown to determine the superior brand, we might miss the quality that this card is stacked with and amongst the scheduled bouts, is one that features the freak athlete, the phenom Brock Lesnar. Brock is set to face Daniel Bryan at the event. Brock Lesnar has always been a huge draw for any WWE pay-per-view and adding him to the roster has made the event that much more exciting. Brock is fresh from his appearance in UFC, where he came face to face with Daniel Cormier. He is also the only UFC athlete to feature in both the centenary events of the UFC, he faced Frank Mir at UFC 100 and won the heavyweight title in dominating fashion. The matchup between Cormier and Lesnar will be a thrilling endeavour and one that every WWE and wrestling fan across the globe will be watching. 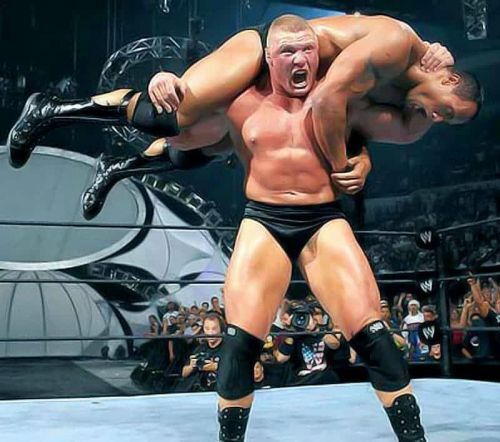 Brock has had a spectacular career as a wrestler, whether it was being crowned the NCAA champion or the WWE champion, four times over, his physical prowess in the organizations ranks has been proven and tested, and at 6’3 and 280 pounds of pure muscle, it’s no wonder he’s earned monikers such as ‘The Beast Incarnate’. Brock preparing for an F5 on The Rock! The hype around this match was incredible. With the Rock, one of the best in the game when it comes to electrifying with a promo, adding Brock into the mix was just taking things to another level. Who would win? It was a question of Brocks power versus the Rock's speed and anything could have happened. Eventually, the case of strength against speed came to a head and it was looking like Brock would win the match but that wasn’t before we saw commentator Paul Heyman being put through a table. With Lesnar successfully defending the ‘People's elbow and the Spine-buster, The Rock was out of manoeuvres and the end was inevitable. The crowd chanted Lesnar’s name as he was crowned the youngest WWE champ in history as Brock Lesnar’s Legacy was cemented in wrestling history, a new era had begun in professional wrestling, the era of the beast.